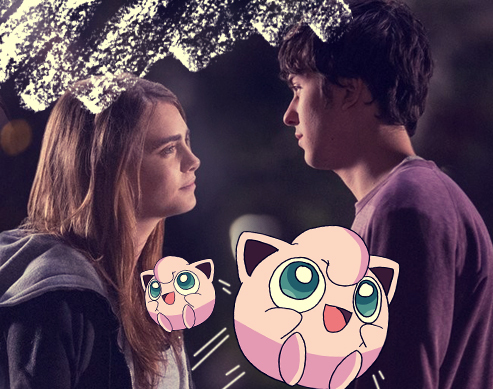 You have to read these Pokémon Go stories from different parts of the world. If there's one game we're dying to play these days, it's probably Nintendo's Pokémon Go. And while we're still waiting for the app to be available in the Philippines, we're reading a lot about it for, you know, ~*research*~. While going through all the tips and funny stories about those who are playing the game, we've also stumbled upon stories that have given us so much feels these past few days. Here are three of the most heartwarming—even heartbreaking—ones we've read so far. 1. Syrian children hold up Pokémon photos so they can be found. Children from war-torn Syria have been pictured holding up Pokémon photos as a "plea to the world to come to their rescue," according to The Telegraph. Syrians are forced to leave the country to seek for refuge and about 250,000 children are also forced to live under seige in this war that's been going on for five years. 2. A Pokémon Go player gets touching a touching surprise on his brother's grave. A Japanese player got the sweetest surprise when he visited his Pikachu-loving little brother's grave while playing. His little bro loved the little monster so much that they had a Pikachu-themed gravestone made in his honor. He then found a virtual Pikachu, a rare find in the Pokémon Go world, sitting right next to it. Aww! 3. Pokémon Go changed this Irish man's life. When we play games in our smartphones, we usually tend to isolate ourselves and spend days and days finishing the game. 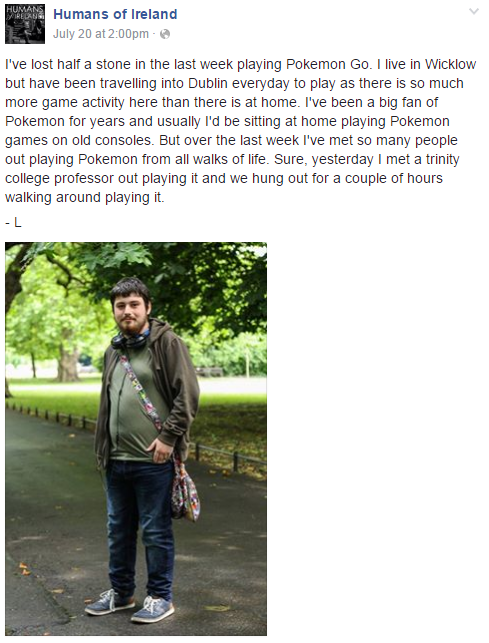 But it seems like Pokémon Go has changed that, as this story shared on the Facebook page Humans of Ireland has shown us—this Irish man went out of his hometown to play the game and met fellow players while he's at it!